As I hear it, this is one of the truest examples of Eastern dungeon synth. It is triumphant, pagan, prideful, cheesy as hell, endearing as hell, lo-fi, atmospheric, and throughout most of the album the artist is intoning some dramatic Slavonic gibberish. I'm making fun a bit, but this record has long been one of my favorites in the genre. 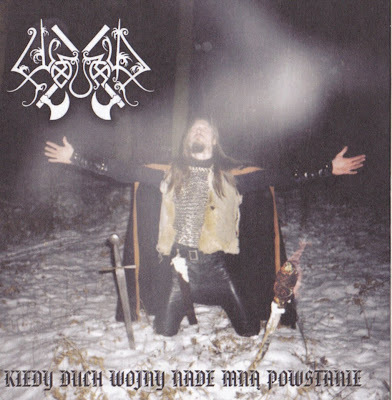 In fact, this is one of the first few artists playing in the "dungeon" style that I discovered after Mortiis. Someone new to this genre might find everything about this to be laughable, but for those who are open-minded enough to hold back the chuckles, you shall find this album to be very profound and moving. The synths maintain a consistent tone, and yet they manage to be quite dynamic throughout, slowly changing between moods of solemn contemplation, honoring some forgotten pagan sun-father, to emotions of pure ancient victory, and sometimes down to stoic melancholy. Though the vocals will initially strike the listener as quite overdramatic, the enthusiasm and seriousness is extremely contagious, and one will find themselves nodding to these seemingly-ancient pagan hymns within less than ten minutes. I'm going to review this as an English-speaking listener, without looking up a translation (I'm not sure if one exists) because that has always been suitable enough for me to enjoy this album for quite a few years. I don't understand a single word, and yet it all seems to make sense to me, as if it's calling out to some instinctual yearning of the indo-European mind for dense forests, snow-covered battlefields, and icons of myth and monstrosity. Without knowledge of the lyrics, identifying exactly what this is about is impossible, but I sense it's about something gravely important. It seems to me a desperate attempt to resurrect the pagan sentimentality, true honor of oneself and the gods of battle and northern archetypes. I'd say, like Wongraven, this is one of those albums where, if one gives it their full attention, it's nearly impossible not to get swept up in the grandiose vision. It moves slowly, but in a way that is necessary. It manages to fill its ambient boots perfectly, being as slow-paced as they come, and yet somehow never seeming boring. I'm going to, without a doubt, go so far as to say this is one of the absolutely necessary dungeon synth albums. Is Mortiis or Wongraven better? Perhaps, but I think this album is almost just as important, if not only for serving as an example of the essence of the Eastern style of dungeon synth. This is one of those albums where, if one is listening to it and doing nothing else, it's best experienced by letting one's mind drift where it may until the album reins it in (and it certainly will). This is the kind of album that is hard to do justice to. It is both as primitive as can be, and yet fantastically majestic. Everyone with even a fleeting interest in this kind of epic keyboard music should listen to it. It's minimalistic, no doubt about that, but it is the sort of sparseness that allows for a clear focus upon the only things that matter, and so the powerful melodies which carry the music waste not a single note in their goal to bring the listener's mind to a place of epic mythological power. Even the melodies themselves could be called simplistic, and yet it is this same simplicity which resonates within our spirits at an instinctual level, a mood which many artists fail to reach due to insecurity and unjustified complexity (or, most often, simply a lack of vision). Often the most profound statements are those said in simple, straightforward terms, of the human experience that is lost in the unimportant details. But that is certainly not to say this album functions so well because it is minimalistic. This album is so good because it has spirit. That is ultimately what so many artists fail to reach and so many listeners fail to recognize. That is the reason why black metal was once so great, and is now long since dead, despite having the same sort of sound, and true spirit is why dungeon synth remains appreciated by only a small group of listeners who understand the soul of the art. 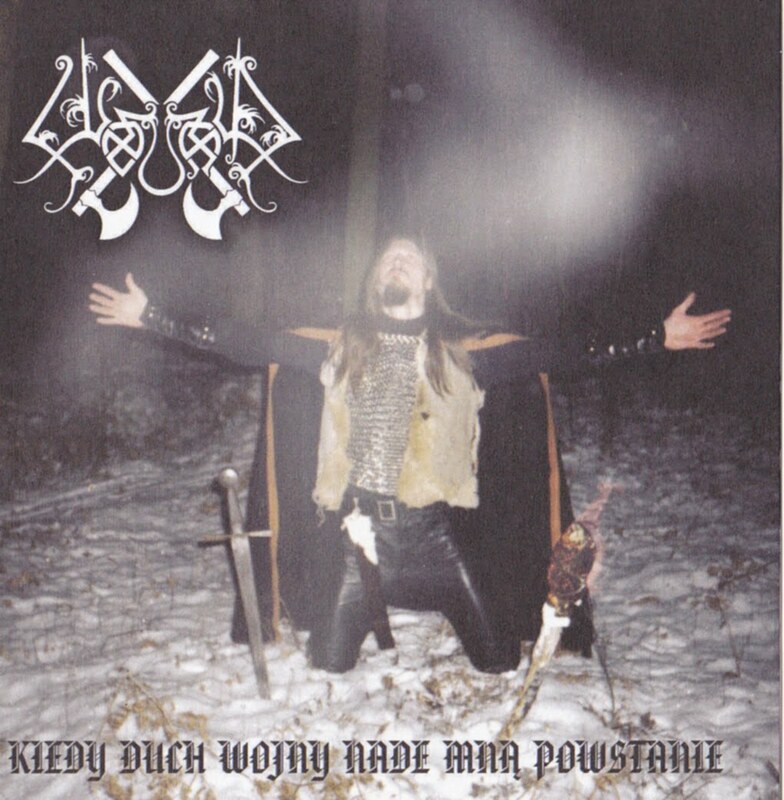 Wojnar's early works are fantastical, primitive, and majestic, and shall only be honored by those who are the worthy inheritors of the magic born from black metal's ashes.